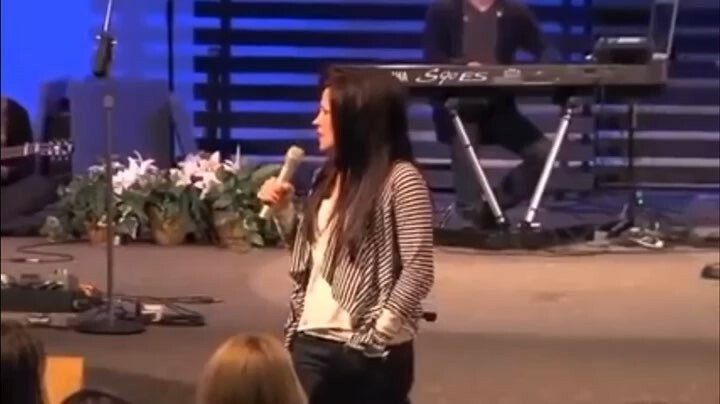 It’s been about 7 years since I watched this teaching from Kari Jobe (love her!) but I’m so glad I got to see it again. This resonated with me as a young Christian women and it still has so much power today. When we believe on Jesus Christ we have full access to God. (Ephesians 3:12) We can pray to Him, ask Him questions, get answers, spend time in His presence, get revelation about our lives through His word. He reveals to us our errors so we can repent and start going the right way. We get to love God and others and we get to be loved on by Him. We desperately need to be planted at a local church (Psalm 92:12-13) — but from there we should be growing from what we are fed at church and we should begin to pursue Jesus Monday-Saturday as well. We should be changing. He will meet us in our private lives just as faithfully as He will meet us on Sunday morning! That’s what this music detox challenge is about! Seeing God move in a new way in our lives! For 30 days, we are turning down all other music and committing to listening to music that only glorifies God. It may be a challenge for some, but it’s worth it to see what God will do as you give up what you’re used to doing for a little bit. If you’re up for the challenge, sign up by clicking the link in my bio. Starting April 1st, you’ll get a daily email from me with music, scripture to meditate on and a journal prompt.